This article is courtesy of our friends at MySwimPro. MySwimPro is the official training partner of the Global Swim Series. All GSS swimmers can get 20% off when they subscribe to MySwimPro Premium by using the code GSS20%OFF. Sign up today! There are a few key points to focus on in training to prepare for an open water race. One of the easiest skills to practice in a pool is sighting. This is where you physically lift your head above the water mid-stroke to see ‘spot‘ the upcoming buoy and ensure you’re traveling in the right direction. Lift your head only as high as necessary. In calm bodies of water, like a lake or river, lift just your eyes out of the water. In wavy ocean conditions, time it so you’re sighting on the top of a wave for the best view of the course. Feel your body rise and fall on the swells and sight accordingly. Use landmarks and other swimmers when breathing to the side. Do not breathe while looking forward. Separate the two actions by sighting forward and then immediately rolling your head to take a breath to the side. Sight 2–3 times in a row (during every other stroke). Use the first sight to locate the buoy, the second sight to adjust your angle and the third to verify your direction. Practice, practice, practice! Make a point to practice sighting drills in every second or third workout. 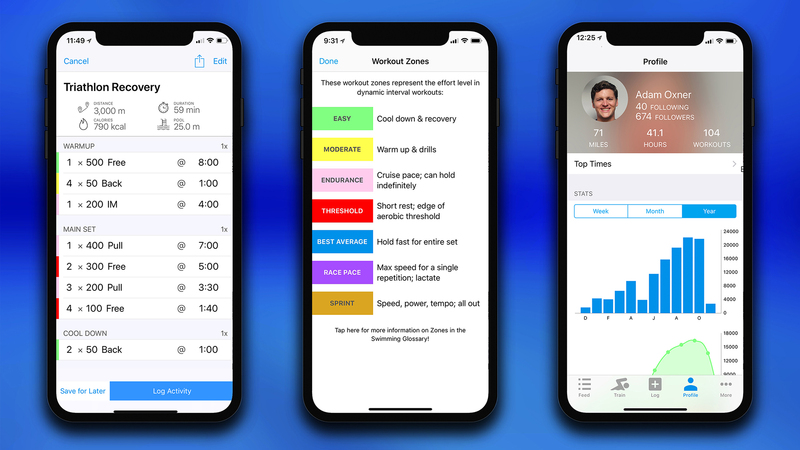 Be sure to download the MySwimPro app in the App Store for iPhoneand Google Play Store for Android! Next articleMost famous open water race in the world becomes the 150th race in the GSS!